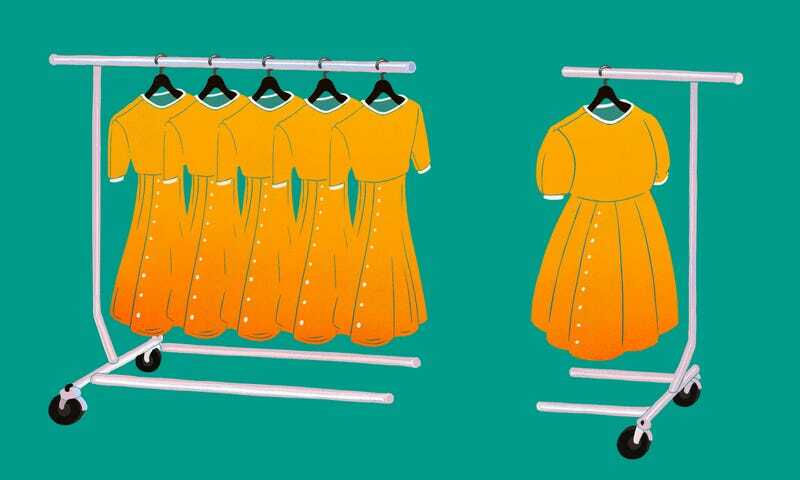 ModCloth, a quirky online women’s retailer beloved by its customers for its mixture of twee and retro fashions, generated outrage from customers earlier this month when they announced they’d been acquired by Jet, which is owned by Walmart. Kaness defended the sale by saying that Walmart’s “culture” is similar to ModCloth’s own, a sentiment some of his employees don’t seem to share. Indeed, interviews with seven current and former ModCloth employees help illuminate how the company culture has shifted from the time it was co-founded by a now-married couple, Susan Gregg Koger and her husband Eric Koger, changes that echo the growing pains—for lack of a better term—seen at other tech-driven retailers catering to a customer base of young, with-it women. Longtime employees spoke warmly about the company’s early days. In 2010, the company moved its headquarters from its Pittsburgh hometown to San Francisco, although the fulfillment centers, customer care center, and other key elements of the business are still located in Pittsburgh. The San Francisco move was, the current and former employees told us, the start of a shift towards a more impersonal, stereotypically “Silicon Valley” company. Kaness came from Urban Outfitters, where he was Chief Strategy Officer. Several of his immediate decisions involved plus-sizes and their representation on the site; the company announced in October 2015 that they would remove the plus-size section from the site to create a more “inclusive” shopping experience. The move was well-intentioned, past employees say, and designed to help plus-size women feel less alienated when shopping in the real life pop-up “fit stores” the company started rolling out that year. Online, though, past ModCloth employees say the move didn’t make sense, and seemed to reflect the CEO’s discomfort with plus-sizes. “It was [Kaness’s] decision to remove plus from the website,” one employee who recently left the company says. “That’s when we all really started to think he was not a great fit. A lot of us who’d been there for a really long time and were women who weren’t a size two ourselves—who were part of the demographic we were speaking to—felt it was a bad move and was going to make shopping for more difficult.” Kaness, she says, responded by saying he was “offended by the term ‘plus,’” as she remembers it. Kaness also objected to showing plus-size and straight size models next to each other, a different employee who recently left the company told us. Another former employee says Kaness made odd remarks about plus-size models, even when talking about what was ostensibly a good-news rollout: The same year he came on as CEO, ModCloth also launched a private label in July 2015, a collection made exclusively for the company and meant to showcase its particular quirky-retro charms. No, I did not say that. And if you look at what we have done in my two years at ModCloth, including (1) increasing the % of our apparel offer that is available in a full-size range from less than a 1/3 to more than 1/2; (2) adding both “reg size” and “plus size” studio model imagery to the product detail pages of the commerce sites for the apparel available in a full-size range; (3) creating and opening a new-to-world store model that is specifically designed to include women of all shapes and sizes in the shopping experience; (4) more frequent and pronounced use of diverse models - including plus-size models - in our marketing campaigns; etc etc etc ... I hope anyone would rationally conclude that this allegation is baseless. ModCloth aims to be the most inclusive fashion brand in America, and as part of the mission is to try to develop clothing in a full size run (XXS-4XL) for her to shop. We broke away from industry standards by retiring PLUS language and segmented shopping sections on and offline. We plan to continue to create what Susan started, a place where all women feel comfortable to shop and express their individual style. So our attitude towards plus sizes and showcasing plus size models remains the same as it has always been, that style has no size. Our portrayal of women on our site, advertising, store is never retouched or altered in Photoshop, (we were the first retailer to sign the anti-photoshop pledge) and regularly cast our own employees and community members in our marketing campaigns. Look at our site today and let us know if you think we have moved away from showcasing plus size models. The current CEO has singlehandedly destroyed this brand, its culture and the morale of hundreds of employees. His conservative, misogynistic views are the opposite of what ModCloth used to stand for. The decision to eliminate ‘plus’ from the site, despite strong protests from employees who had been there for years and been part of the research on it, was the first big indicator of his ego problem. Matt consistently tried to get us to not use plus imagery, it was an everyday occurrence that happened in a lot of little ways. He would pull rank on striking down photos that featured plus models and give no explanation (but we all knew why). The only reason why plus models were featured at all in the last year and a half was because the core marketing team would go against him and still choose those models, but if he happened to be at the meeting where images were being chosen, he would try and get us not to use them. It’s absolutely true, as Kaness and a ModCloth spokesperson contend, that plus-size models and plus-size clothes still appear on the site. But one current employee disagrees that plus-sized clothing is still emphasized the way it was around 2014, and said there are verifiably fewer extended-size options. Since 2015, the company has also been trying out other expensive experiments, included an extensive site redesign and opening a brick and mortar store in Austin, Texas, after a “fit shop” tour that experimented with physical stores across the country. With the Walmart acquisition, a current employee says, the mood at the company is dour, and divisions between the company’s San Francisco and Pittsburgh offices are feeling particularly sharp. For example, nobody in Pittsburgh—where the customer care and fulfillment centers are located, what the employee calls the “more blue collar” part of the company—was aware that the San Francisco headquarters got to take International Women’s Day off. I am incredibly proud of my time at ModCloth (literally almost half my life so far) and grateful for all the amazing people who helped make it happen. Every employee, past and present, and every customer. We couldn’t have done it without you. I’m also filled with regret. We did a lot of things right but also made tons of mistakes. No one, in life or business, is perfect. To those who are calling me a “sell out”, or worse, please know this: I’m not making any profit on this sale. I haven’t had a controlling stake in the business for years. And this was the only way forward that allowed ModCloth to continue to exist. Trust me, it’s a good thing. Now I’m going to take some much needed time off and practice some self-care. Who knows, maybe I’ll write a book about this entire circus one day. Gregg Koger also told Jezebel via email the criticism is difficult for her to hear: “I spent the last 15 years of my life working on this business and trying to make a positive difference in the world. It hurts to hear former employees and customers tell me that I am ‘selling out’ or that I’m ruining the brand (aka: my life’s work, so far). ModCloth’s current employees don’t have the option, of course, to turn to world travel to salve their wounds.